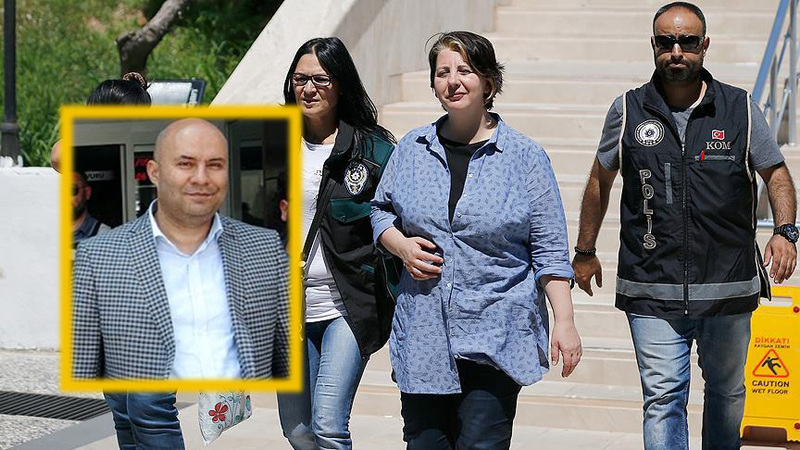 B.A., the wife of former police chief Anadolu Atayun, who has already been under arrest for some 3 years, was put in pretrial detention after she was caught red handed while trying to illegally escape to Greece in a boat. Following a 34-hour chase launched upon a complaint, police Mugla’s coastal district of Fethiye carried out an operation at the city’s fishing port where the suspected five people went aboard a boat for an illegal departure to the Greek island of Rhodes. The five included Atayun’s wife B.A. and his son B.S.A., as well as a doctor, who was earlier dismissed as part of the government crackdown against the Gulen movement, his wife and a captain who was previously investigated for human smuggling. The court in charge arrested Atayun’s wife, the doctor and the captain while releasing the remaining three on judicial control on Monday. State-run Anadolu news agency said Atayun’s wife earlier used ByLock, a controversial mobile app that Turkish authorities sees as a sign of links to the Gulen movement. The escape attempt came only days after Atayun’s two other children, 17-year-old Y.A. and 15-year-old H.A., were briefly detained over their alleged use of ByLock mobile app. The government claims that ByLock was once primary communication tool among the followers of the movement. Former head of the Konya police’s anti-smuggling and organized crime bureau, Anadolu Atayun was put in pre-trial arrest over links to the movement in May 2015.